Competition gallery and results table are now up to date with December club meeting. Merry Christmas and a Happy New Year to everyone at the club and all our website viewers! See you next year! and here is a link to the full size photo if you wish to download it. 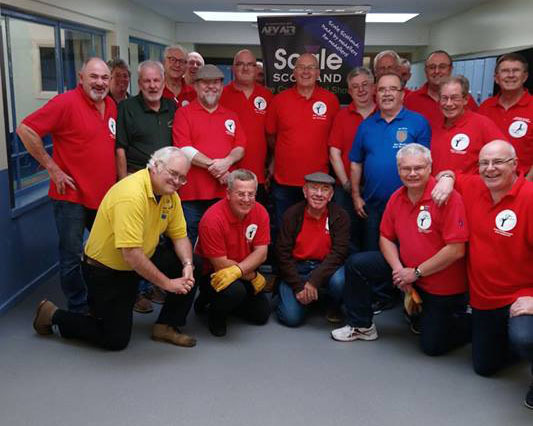 Here is a link to the club's results from the SMW Competition, not a bad haul for the club, 3 golds, a silver and a couple of condemneds commendeds. Modelfest 2018 date confirmed, Saturday 15th September 2018. Competition gallery and results table are now up to date with October club meeting, including the Wattiasham Anker Trophy, this month won by John Tucker with his Gloster Meteor. Yes you read that right, I did say John Tucker! Saturday 16th September was the date of our own annual show, Modelfest! A great day was had by all, the hard work paid off! Here is most of the crew at the end of the day with a special appearance from IPMS UK El Presidente himself! With thanks to Paul Bowyer for taking the photo and letting me post it. Late August was RAF Odiham's Families Day and thanks to Ian we had our usual table/tent with a good variety on display. The weather was good - unusal for this August and we got to see some good flying. Competition gallery and results table are now up to date with August club meeting. Early August saw the club display at the Boscombe Down Aviation Collection model show at Old Sarum. This is a good little museum with plenty of cockpits you can climb into :) Chris McKee even won one of the on-table competition classes and I got a Highly Commended! Competition gallery and results table are now up to date with July club meeting. IPMS Romsey had their show on Saturday 15th July and for the second year in a row, a Steam Roller turned up at the pub while we were have (a very nice) lunch! Competition gallery and results table are now up to date with June club meeting. 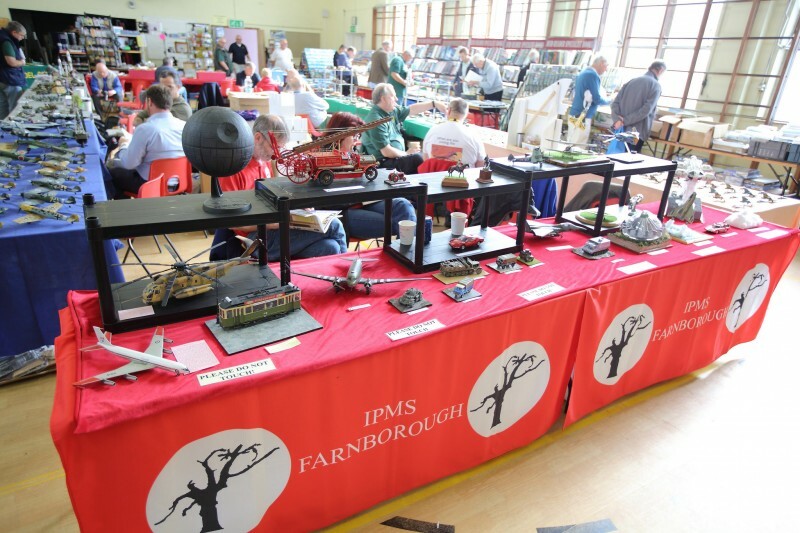 IPMS Salisbury show is always a popular one for our club and this year was no exception! A very full table attracted a lot of attention with an excellent cross section of genres. An excellent lunch and superb weather trurned the show into a grand day out! Competition gallery and results table are now up to date with April club meeting. 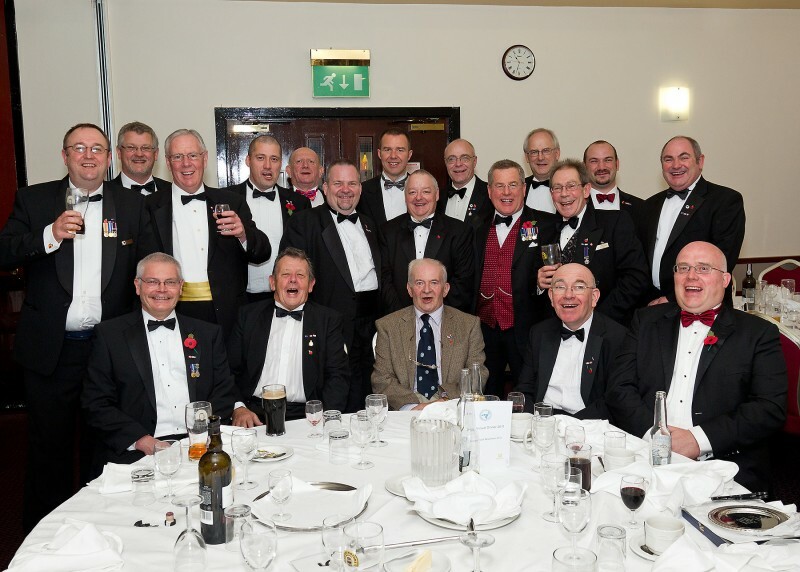 8th April was the Poole Vikings show, and a jolly good time was had by all! Here he is getting the cup from President Eric! The second weekend of February saw the inaugural Bovington Tank Museum Expo show. One of the features of the table at the show was Bill Simpson's Type VII U-Boat which was for sale, with proceeds to the Hospice. We were approached by representatives of the RAF Davidstow Moor Memorial Museum. They were looking for a U-Boat for their museum, which covers the Battle of the Atlantic. They had got as far as buying a kit, buit only had the minor matter of building it. We decided to donate the model to the museum free of charge. They gave us £10 for the Hospice, anyway. See http://rafdavidstowmoormemori.apps-1and1.net/ for details of the museum. Second was Sam Wilson with his 1:32 Figure of Australian Imperial Force Private, Gallipolli, 1915. Third was John Constable's Hudson MkIII and fourth was Mark Jowett's Mirage IIIO. A new year has arrived and last year's news has been archived under the 2016 page. Competition gallery and results table are now up to date with January's club meeting. This was also when we chose the Model of the Year for 2016 and this prodigious honour went to Simon Prince for his excellent Warrior Diorama from the Wattisham Ankar Trophy last October.